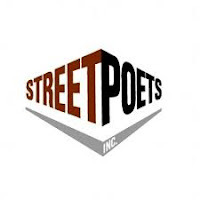 Hey Miss K: Feel Good Friday - Street Poets Inc.
Today's Feel Good Friday group is Street Poets Inc - "Saving Lives One Rhyme at a Time". Intrigued? Me too! those of you short on time - 20 years ago, he answered an add to teach creative writing to incarcerated youth in Los Angeles, California. He continued to work with these young people after they were released and Street Poets Inc was born. Their mission, as stated on the website is broken down into four areas. "Street Poets harnesses the healing power of poetry and music to save lives, create community and transform culture. Street Poets breaks the cycle of violence in the lives of at-risk and incarcerated youth, awakening them to their gifts. Street Poets builds creative community, bringing youth, adults and elders of diverse backgrounds into deep transformational relationships. Street Poets consults and collaborates with other organizations and communities to inspire both individual and systemic change, transforming our culture from one too often driven by fear to one that celebrates healing and the creative process." The programs they offer to achieve these goals include: writing workshops in schools and detention centers, performances, a poetry in motion van that serves as a mobile performance venue and recording studio, community open mics, retreats and a reading series which brings published poets and spoken word artists together with the Street Poets. They also create CDs in their recording studio. These programs serve between 600 - 700 young people each year and make a powerful impact. In this overview video, many of the students interviewed say that Street Poets saved their life. To see more videos and read some of the poetry, check out the media gallery. And now to leave you with a little poem of my own. Show your support and like their Facebook page. Follow them on Twitter @StreetPoetsInc!